(The snow is finally retreating! Derby Canyon Natives will open for retail sales Friday, March 21, and thereafter be open every Friday 9-5 and Saturday 8-12). There are close to 150 species of butterflies found in Washington state. Most are year-round residents, overwintering as either eggs, larvae, pupae or adults in protected locations, such as under leaf litter or within old seed pods. A few species leave our cold winters for warmer climes, including the Monarch, Painted Lady and California Tortoiseshell. 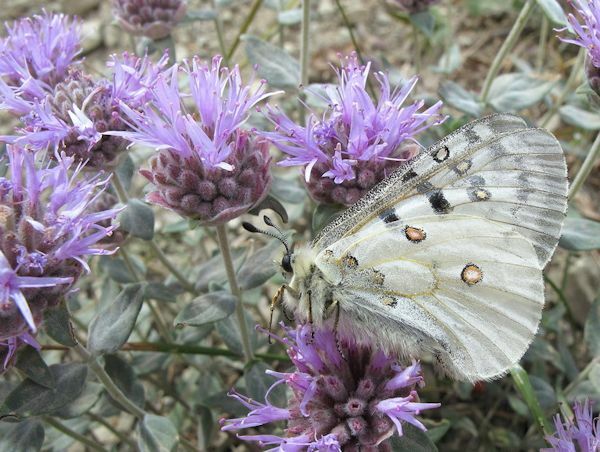 Butterflies are inextricably linked to native plants. Most adult butterflies are not too picky about what they feed upon so long as the plant nectar is accessible, a matter of tongue length versus flower depth. The larvae (caterpillars), however, have very particular needs as to their host plants, in many cases feeding on a single native plant family or even genus. Anise Swallowtail larvae feed only on members of the Carrot Family (Apiaceae) and Cabbage Whites feed on plants in the Mustard Family (Brassicaceae); both plant families have many species that finding food is usually not a problem. 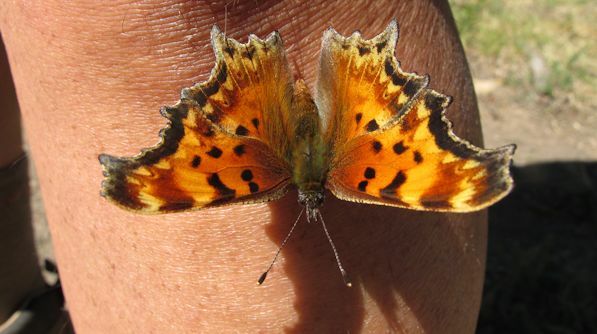 Butterflies with a more restricted larval diet include most Fritillaries (feeding only on violets (Viola)), the Mountain Parnassian (on stonecrop (Sedum)), and the California Tortoiseshell (on Ceanothus). I have seen bushes of snowbrush ceanothus (C. velutinus) totally defoliated in July by the California Tortoiseshell yet alive with masses of wriggling pupae hanging from twigs. To attract butterflies to your landscape you should include flowers attractive to the adults as well as larval food plants to encourage the adults to stick around and lay eggs. Sunny, open areas are best. Plant a variety of flowering species, aiming to have at least three blooming at all times from April through September. A diversity of flower types is important as well. Flat, open flowers or inflorescences, found in members of the Sunflower Family (Asteraceae), Carrot Family (Apiaceae) and wild buckwheats (Eriogonum), provide landing platforms and masses of flowers for the adults to probe for nectar. Penstemons and lupines have very different flower forms that some longer tongued butterflies seek out. Plants in the Mint Family (Lamiaceae) have especially attractive nectar, so consider Agastache, Salvia and Monardella. Rabbitbrush (Ericameria) and goldenrod (Solidago) both provide masses of bloom in late summer into fall. Non-native garden flowers also attract adult butterflies; good choices include lavender, Russian sage, cosmos, sunflowers, borage, oregano and sedum.